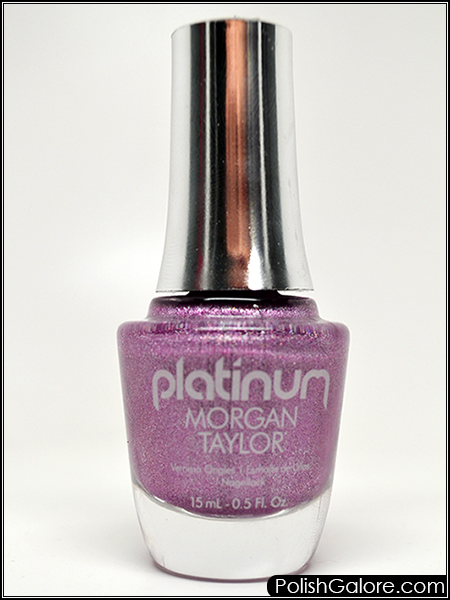 Last summer when Morgan Taylor announced they were going to launch a new collection called Platinum, I was stoked. It's been awhile since we've seen holos in the mainstream world but I knew they would come back in some form eventually. Today I have It's Lit! a purple/lilac with scattered holographic particles. 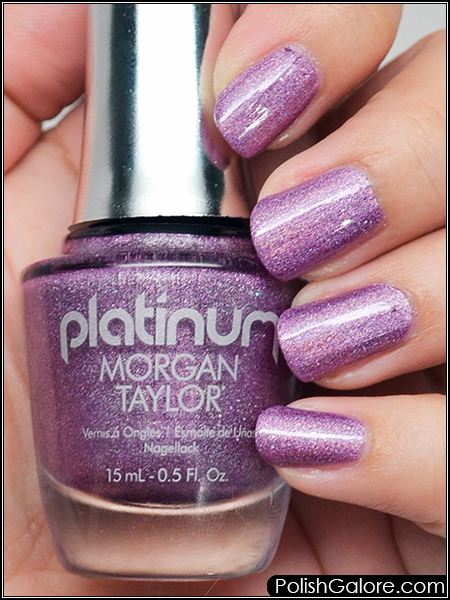 For this manicure, I used Morgan Taylor ReactMax Optical Brightener for my base, two coats of polish and finished with Glisten & Glow top coat. I think I should have probably used three coats given the length of my nails currently but two still covered. 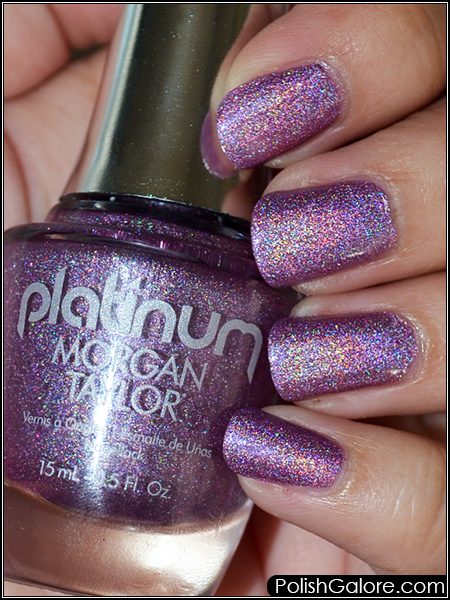 Because this is a scattered holo, my lights did not pick up the holo very well in my swatch. This will be typical under normal office settings and most house lights. I did get one photo with flash though so you can see that holo there, it's just not the linear flame that I prefer.